Muscle imbalance in the shoulder is a condition is an abnormal relationship between the muscles that mobilize and the muscles that stabilize the joint. 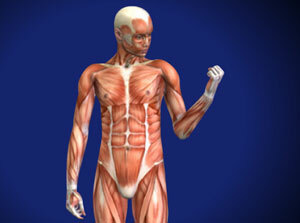 Normally these muscles work together to move and stabilize the arm. When these muscles become imbalanced, the mobilizing muscles begin to overpower the weaker stabilizing muscles. This can interfere with normal movement of the shoulder, causing instability. The scapula, or shoulder blade, is a large triangular-shaped bone that lies in the upper back. The bone is surrounded and supported by a complex system of muscles that work together to help you move your arm. If an injury or condition causes these muscles to become weak or imbalanced, it can alter the position of the scapula at rest or in motion. An alteration in scapular positioning or motion can make it difficult to move your arm, especially when performing overhead activities, and may cause your shoulder to feel weak. An alteration can also lead to injury if the normal ball-and-socket alignment of your shoulder joint is not maintained. Treatment for scapular disorders usually involves physical therapy designed to strengthen the muscles in the shoulder and restore the proper position and motion of the scapula. Your shoulder joint is a ball-and-socket joint. The head of the humerus (upper arm bone) is the ball and the scapula (shoulder blade) forms the socket where the humerus sits. As you move your arm around your body, your scapula must also move to maintain the ball and socket in normal alignment. View more shoulder conditions animations and learn more! Muscle Imbalance in the Shoulder specialist Darren Keiser.